ASIS Victoria Chapter Supporters | ASIS Victoria Chapter - The leading organisation for security professionals. Become a Sponsor - Sponsorship is important for the viability of any volunteer professional organisation. Sponsorship support for ASIS Victoria Australia Chapter helps the Chapter purchase study materials for study groups, produce advertisements and promotional material, assist with delivering high-calibre events and training. Interested in becoming a sponsor? email info@asisvictoria.org.au for a Sponsorship Package. Our sponsorship is based upon the level of support through bronze, silver and gold categories. Dominance Guardian Services was founded in 1998 and has been providing Crowd Control and Security Guarding services to Melbourne and the surrounding suburbs for over a decade. They are a specialist security company that works predominantly in the hospitality, entertainment industry and in retail loss prevention. They create tailored solutions to meet our clients’ security needs, whether small or complex. Virtus is an Australian owned insurance broker providing services to businesses throughout Australia and Internationally. Virtus is a fully licensed Brokerage as well as members of the National Insurance Brokers Association. Virtus is an equity partner of Steadfast, a group of more than 250 insurance brokerages operating across Australia which provides them with substantial buying power and flexibility with insurers across Australia and Lloyds of London. As a result of the above Virtus is able to provide ASIS members access to outstanding PI insurance for security consultants. Established in 1990, Global Public Safety (“GPS”) provides expert security and safety services in Australia and abroad. GPS is able to provide situational risk assessments, security and safety training, expert reports, expert evidence and workplace audits. Our principal staff are recognised experts with qualifications in law, criminology and the social sciences up to doctoral level. We work across most industry sectors and have a reputation for providing high quality services in a timely and effective manner. 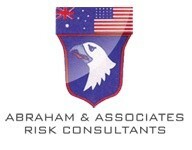 Abraham & Associates are risk consultants with a footprint throughout Australia and China. For more than 20 years the organisation has provided high quality training and advice across all areas of security. Our mission is to provide our clients with a safe and secure home/work environment, absolute confidentiality and professionalism.